First off...I need to apologize for the lack of posts this week. The end of last week, and the beginning of this week I found myself out of town. It was a lovely visit with family, to meet a niece who has been recently adopted from China. She is beautiful and sweet and perfect. Many congrats to my brother and SIL. Maybe you can guess where I spent my time?....NYC...and let's just suffice to say, good eats were abundant....although I didn't document any of them with photos. I am also getting new kitchen appliances this week, which has kept me busy since I got home, preparing for their arrival! And I cannot wait! My oven has been having trouble holding temperature, my sensor microwave died several months ago, and my dishwasher rack is getting rusty! I am replacing the appliances with Frigidaire Gallery Stainless. When I got home, I had an appointment to finish taking my son's senior pictures ( the outdoor session) that we had to reschedule three times because of the rain we have had the past month. 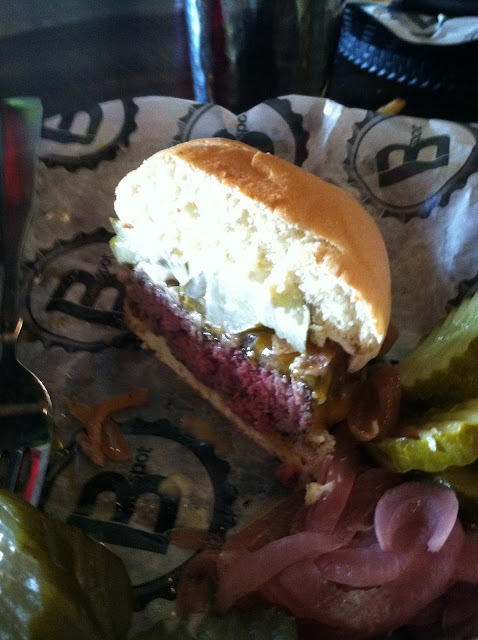 Since we were out around lunchtime, we decided to dine at one of Michael Symon's local restaurants...B Spot. 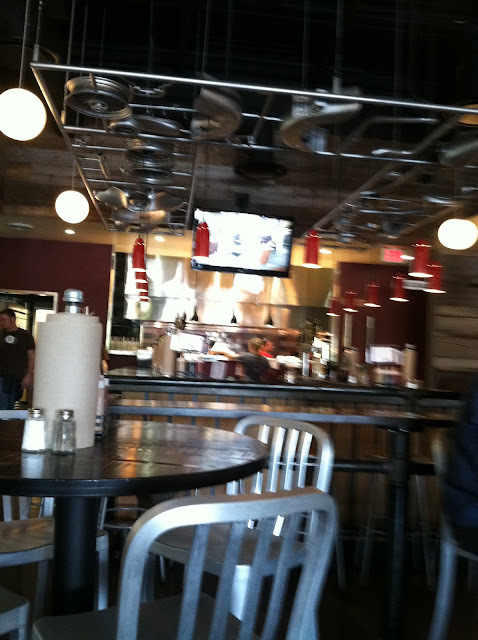 Now, let me first tell you, Bspot is not a place to go if you want an ubber healthy, point+ friendly meal. ( I don't even know how to begin to calculate pp values there....and I am not certain I would want to) but if you want the BEST burger you can find at a reasonable price...this IS the place to go. 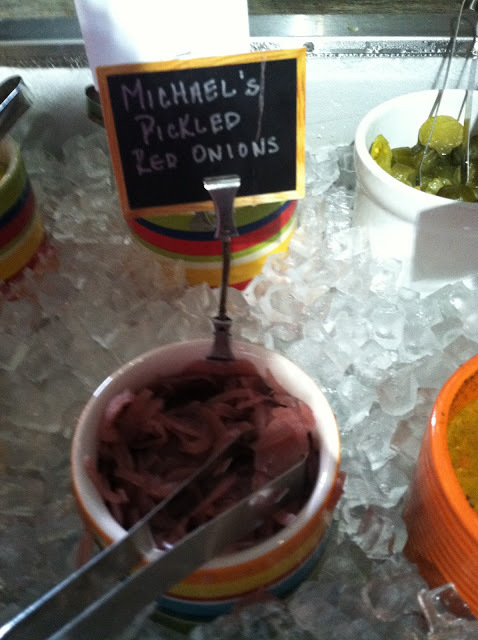 Michael is somewhat of a hometown hero around this neck of the woods, and he is really becoming a household name with his most recent endeavor as one of the hosts on the afternoon talk show, The Chew. So without further adieu, I give you MY take on B Spot! You may have noticed some onions and pickles on my plate along with my burger. 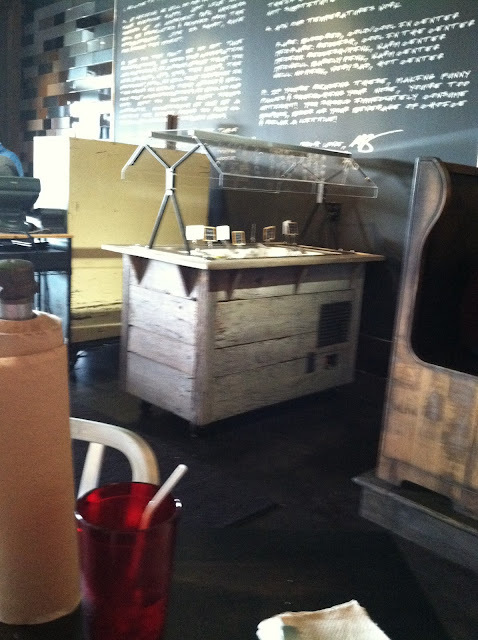 In each B Spot location is a fantastic "pickle bar" ! 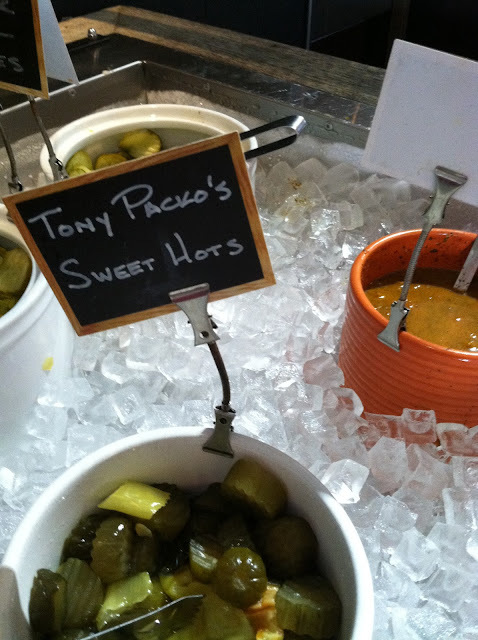 One of my favorite things on the bar is the Tony Packo's Sweet Hots...soooo addictive! I only had a few Lola Fries I shared from my son...which are to DIE FOR....sea salt and fresh rosemary. But if you look at the bottom of the menu, you can see why. There is a disclaimer stating they cook in lard! haha so ya, only a few for me! But really, the BEST fries ever! B Spot also sells killer shakes. My kids have ordered them in the past and I have had tastes....well...on occasion maybe even more than just "tastes"! The Vanilla Bean Apple Pie Bacon is a truly unique taste, but one that makes you come back for more...and yes, it has REAL bacon in it....A LOT! One of the coolest things about this meal, was to look up at the bar and watch Micheal himself on The Chew while we ate....sort of surreal. 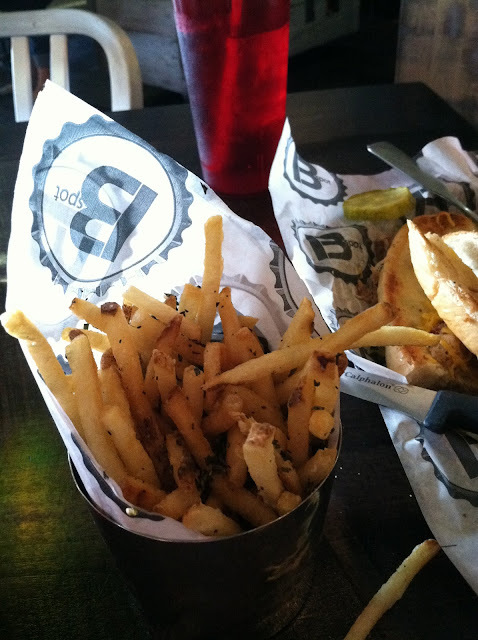 If you are looking for great burgers and fries and some great beverages, B Spot is a must! Last week MKA celebrated it's one year anniversary! Thank you to all of you that come here and read and comment and try out the recipes! Thank you if you come here and lurk! I know I promised a giveaway to celebrate, and I am going to kick one off tomorrow! So stay tuned! Congratulations to your family on the newest member! That is so awesome and she is indeed adorable. Looks like you enjoyed good eats and had a great time with your son. I saw that show the other day so now I will have to watch it again and pay attention to who Michael is! Congrats on your blog anniversary. You do an lovely job here on the blog sharing your recipes, awesome photos and your clever commentary! WOW! So much going on!! Happy Blog birthday! What a yummy meal. A pickle bar? That sounds absolutely amazing. And your new niece is just beautiful! Oh I know Veronica...I was amazed with the stuff too...texture can be tricky when you elimnate sugar! Glad you like it! !